Last night I got an FB notification regarding a new mas band for Caribana 2K11.....CANOBULAY CARNIVAL! Joan Lee woi..i see big tings for 2011 TORONTO CARIBANA !!!! Joan Lee who is Canboulay Carnivale ??? The website is presently under construction so look out for updates as I come across more information. sorry to inform you that this band was not selected as one of the new caribana bands. your'e right canboulay is not a selected new 'competitive' band . 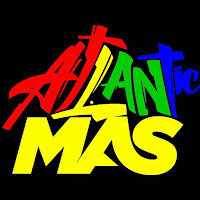 They are a new organisation that comprises of various like minded members of the mas /caribbean world seeking to bring about a change in what it is now and how it can be in the future whilst still focusing on grass roots . hmmm Seems like de anonymous frighten or wha to make such a comment ! ah that is where people get misinformed .. it is a new band. a new band with a new concept and a with a new organisation which like minded individuals have joined together , Hold great RESPECT for each others views dispite creed and race , simply because everyone has an equal place . They that want to see a change in how MAS is thought of .....so that you the people experience the True essence for what its worth thats all ! i say , stay tuned and you will see - thats all you have to do !